**Process aesthetics pure and flawless** https://static.wixstatic.com/media/eefc5d_c407c661964748648866a40800b11ff5.jpg/v1/fill/w_842,h_560,al_c,q_85,usm_0.66_1.00_0.01/eefc5d_c407c661964748648866a40800b11ff5.jpg Imitation of spacecraft fashion streamlined design, the material is carefully selected ceramic ultra-high temperature firing, the former high after the low-arc design to facilitate a variety of dog cat-type edible, no longer let the food out of place, colorful Color so that the child can also keep a good meal when the mood. https://static.wixstatic.com/media/eefc5d_2c88ffb537824e479014d0ce4cb01953.jpg/v1/fill/w_676,h_380,al_c,q_80,usm_0.66_1.00_0.01/eefc5d_2c88ffb537824e479014d0ce4cb01953.jpg Lake water, egg yolk, angel powder porcelain bowl, in the process of burning to add far-infrared powder (Far-infrared radiation) made, to extend the food preservation time and water purification effect, increase appetite and health. https://static.wixstatic.com/media/eefc5d_957f19d518164c308598d80a5d54d1e0.jpg/v1/fill/w_676,h_450,al_c,q_80,usm_0.66_1.00_0.01/eefc5d_957f19d518164c308598d80a5d54d1e0.jpg Wood to build a wooden bowl can be arbitrarily adjust the bowl of the tilt, the tall design is no longer due to bow straight eating and cause swallowing difficulties, the bottom of the anti-skid stickers to avoid eating non-stop sliding, to give the most comfortable dining status. https://static.wixstatic.com/media/eefc5d_9c0e4759380640d78d2e7759b0f8da14.jpg/v1/fill/w_655,h_436,al_c,q_80,usm_0.66_1.00_0.01/eefc5d_9c0e4759380640d78d2e7759b0f8da14.jpg A single bowl of back with a refrigerator, iron cabinet adsorption, strengthen the fixed function. 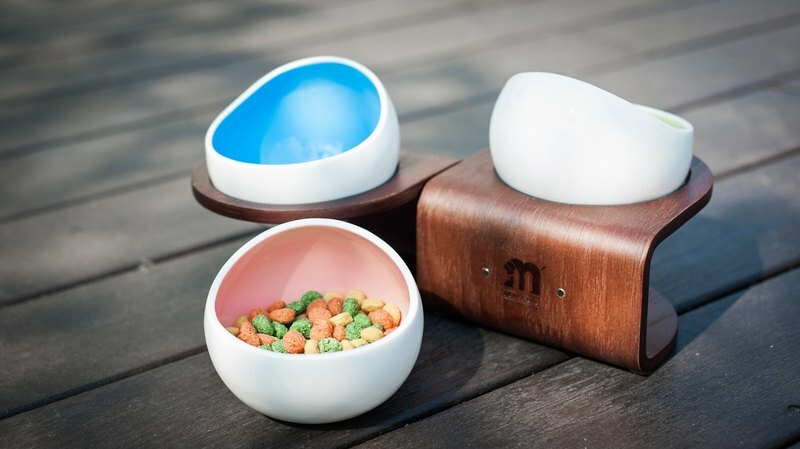 Each group of wooden bowls are attached with magnets, can also be used in conjunction with the suction. https://static.wixstatic.com/media/eefc5d_85674fe1eca6435cb29e3a21d720c3b5.jpg/v1/fill/w_600,h_399,al_c,q_80,usm_0.66_1.00_0.01/eefc5d_85674fe1eca6435cb29e3a21d720c3b5.jpg Adjustable angle on the bowl rack to facilitate the consumption of various mouth-shaped hair https://static.wixstatic.com/media/eefc5d_5c8c29781f1b4f64af380cea2f46f326.gif https://static.wixstatic.com/media/eefc5d_7d75f187bf2249d39f004bc82d3a1218.jpg/v1/fill/w_875,h_876,al_c,q_85,usm_0.66_1.00_0.01/eefc5d_7d75f187bf2249d39f004bc82d3a1218.jpg Product specifications Wooden frame size: 15x9cm Bowl caliber: 12cm Contents: bowl x1, wooden x1 Wooden frame material: deep brown bowl rack, log bowl rack, walnut bowl rack Origin / manufacturing method Taiwan Note: due to take into account the health problems of pet supplies, once through the use of unpacking, will not accept Returns.